Having the most efficient assembly and packaging line in the world means nothing if your delivery vehicles fail to start up one morning. No matter what the problem was, the time you waste is time that those receiving your products will have to wait. The worst part is that if you haven't performed regular vehicle inspections you won't even have the slightest clue what's wrong with them, which will throw even more time down the drain. 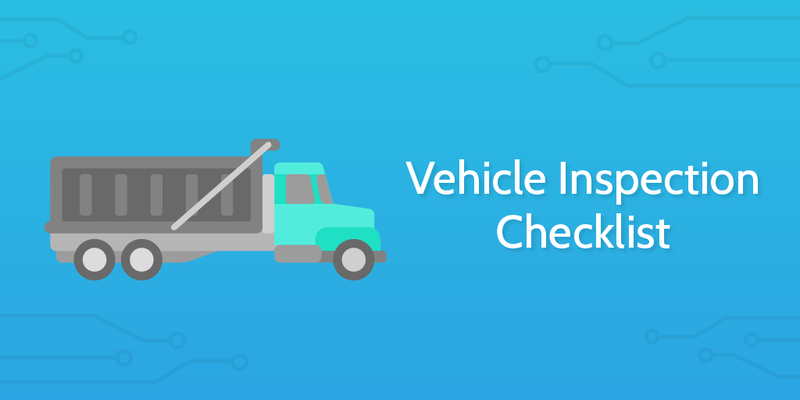 This vehicle inspection checklist will solve those problems. One of the core business processes of any which own vehicles, by running this checklist just once a year for each vehicle you own, you'll stay on top of any maintenance your fleet needs to stay in prime condition. In turn, this will help you plan for any costs associated with your business, since repairs aren't blindsiding you when you haven't budgeted for them. First you need to record the details of the person performing the vehicle inspection. This will make it obvious who is responsible for the inspection and make sure that they aren't tempted to cut corners. Whether you or someone else is doing the inspection, record these details using the form fields below. Next it's time to record the details of the vehicle operator. While this might not be entirely necessary (depending on the type of inspection and vehicle), it's good practice to link the owner and vehicle together when possible. Use the form fields below to do this. Our final set of details to note down before getting started is that of the vehicle itself. Use the form fields below to record details such as the vehicle type, make and model, license plate, mileage, and so on. Testing the brakes is one of the most important parts of this annual vehicle inspection checklist, as no matter who you are, what you drive, or how fast you drive it, you need to be able to stop or at least slow down when required. 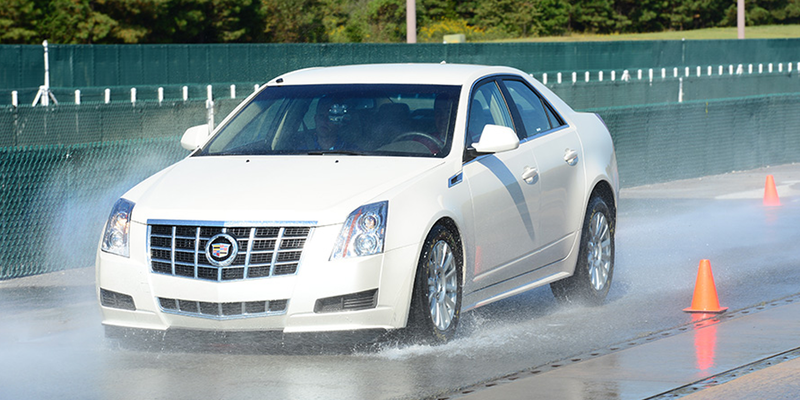 Test the brakes by stopping from a speed of 30mph, and then again from highway speed. If the pedal or brake feels like it's pulsing, then it needs replacing. You should also measure the width of the brake pads by removing a front wheel and using a compass to mark the start and end of the pad. If they are 1/8 in. thick or less, they need replacing immediately. Now you need to test the emergency brake. This is simple to test - just drive to the top of a slope, allow the vehicle to begin to roll down it while in neutral, then apply the emergency brake to suddenly stop and hold the vehicle in place. Be ready to use the regular brake in case the emergency brake fails. Record your findings using the form field below. The next part of the vehicle inspection is nice and easy. 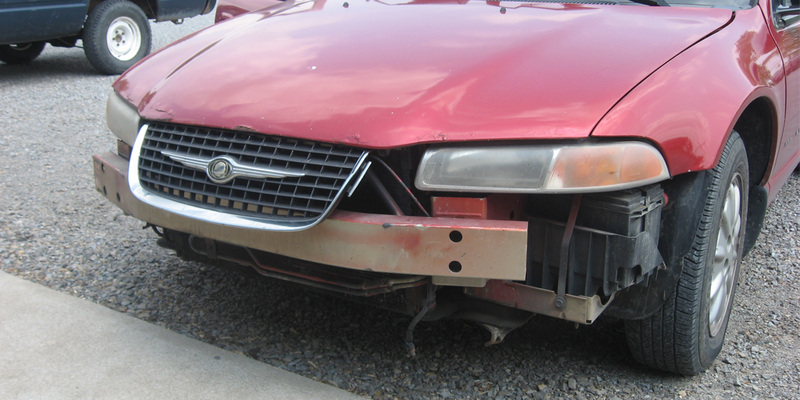 All you need to do is check that the front bumper is attached securely and not severely damaged or broken. Once you've examined the bumper, record its condition using the form field below. Now it's time to do the same examination on the rear bumper. Check that it is attached securely and not severely damaged or broken. Using the horn is the quickest way to tell someone else on the road "I'm here! ", so now it's time to check that it works correctly. Just use the horn a couple of times to verify that it works, and that it is loud enough to be noticeable. Record your findings using the form field below. 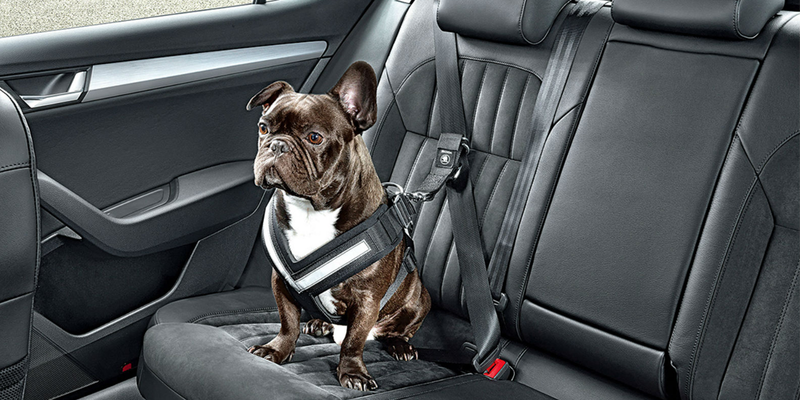 It's vital that you now check that all seat belts work and are in good condition. They are one of the core safety measures any driver can (and should) take, and saved an estimated 250,000 lives from 1975 to 2008. Record what you find using the form field below. Defrosters are invaluable come winter, so these are another thing you need to check in this vehicle inspection. Turn the front and rear defrosters on and make sure that hot air is blowing both at the front and back of the vehicle. As usual, record what you find using the form fields below. After testing the defrosters it makes sense to immediately test out the heating too. Turn on the heating and make sure that you can feel its effects before moving on. Depending on the country you're based in certain emergency supplies may be legally required to be in the vehicle. However, even if they aren't then they're still a good thing to have. Check which emergency supplies the vehicle has from the sub-checklist below, then note if it meets any legal requirements using the form field at the bottom of this task. Although not all vehicle inspections require you to check the operator's driving license, it's good practice to do so. 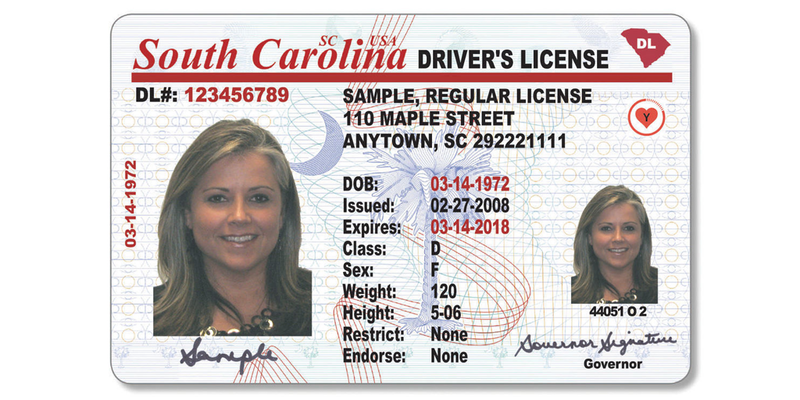 Make sure that the license is present, in date, and valid. Record whether their license meets these requirements using the form field below. This step is pretty self-explanatory - you need to make sure that the vehicle and/or its operator have valid insurance. The easiest way to do this is to just ask the operator to present their insurance documents, as most states legally require them to be in the vehicle with the driver anyway. After checking that their insurance is both in date and valid, record your findings with the form field below. You're just under halfway through the vehicle inspection, so now it's time to check out the headlights. Make sure that both the high and low beams are working correctly, that the lights are tightly secured, that the casing isn't cracked, and that there's no condensation forming inside the case. As always, record your findings using the form field below. 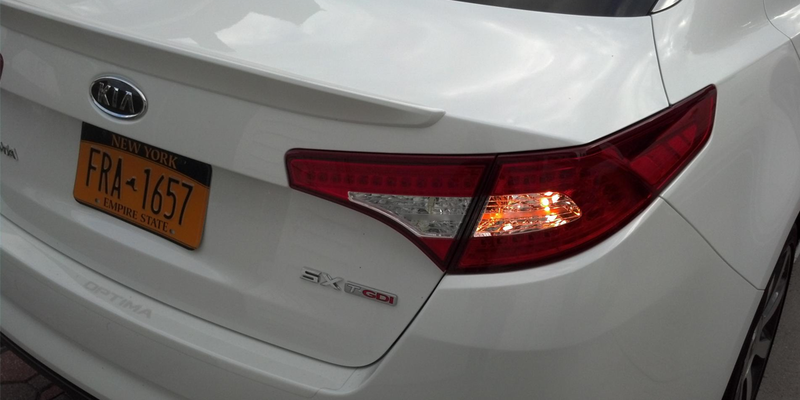 Next up are the tail lights. Verify that these are in full working order, that the casing for them hasn't been damaged, and that they are using red bulbs (or glass). Record what you find in the form field below. Now it's time to test out the brake lights. You might need to have a second person check this while you use the brakes, or alternatively park in front of a reflective surface and use your mirrors to verify the result. Once you've checked to make sure that the lights are working, the casing isn't damaged, and that they're using either red bulbs or glass, record the result in the form field below and move on. 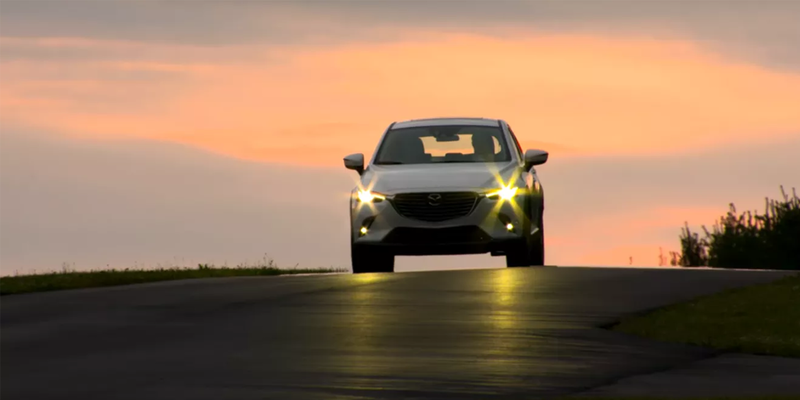 Now it's time to check the lights that serve as your turn signals. Check both the front and back sets of left and right lights, and also any dashboard indicators which usually show which light is being used. Use the form field below to record your findings. We're almost done with the lights section of the vehicle inspection, but now it's time to check your reversing lights. Much like with your brake lights, either get someone to help you check these or use a reflective surface to see the result as you're driving. Make sure that they are turning on and off when needed, and that both the left and right lights are in good working order. Use the form field below to record the results of this test. Although these are all technically lights you've already tested, you need to make sure that the vehicle's four-way flashers (emergency lights) activate when requested. After testing them out, record your findings using the form field below. Here's a nice easy test to round off the lighting section of the vehicle inspection. Here you just need to make sure that the lights for the vehicle's license plate are in tact and working correctly. As with everything else, record what you find with the form field below. It's time to check the outside mirrors of the vehicle. To do this, examine them to make sure that they're both installed and in good condition (i.e., not cracked or heavily scratched). While you're doing that, it's also worth checking any controls the vehicle has for readjusting the mirrors from the interior. These could be electric buttons or small adjustable handles. Check both of these aspects and note your overall findings in the form field below. Next you need to do the same for the inside mirror. 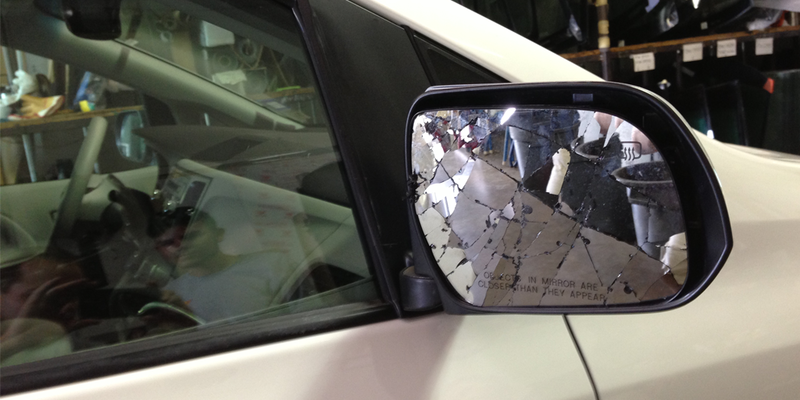 Usually located in the center of the windshield, this mirror must also be both installed and in good enough condition that the road behind the vehicle is easily visible. Also there usually isn't any way to electronically adjust this mirror, be sure to move it around a little to make sure that it's possible to readjust. Once done, record your findings in the form field below. While it might seem obvious, you need to check quickly to make sure that the wheels and tires match, so as to give a consistent level of support. Although it's uncommon to find tires that don't match, make sure that all tires are the same type (eg, not a mix of radial and bias tires), and record your findings with the form fields below. Next you need to check the tires themselves to make sure that they are in a roadworthy condition. Use the sub-checklist below to check each aspect in order, and then note your ultimate findings in the dropdown form field. Your wheels and tires can be the best in the business, but if the wheels aren't aligned then you'll be going nowhere fast. Check the wheel alignment, then record your findings using the form field below. Although we all hope never to use it, now's the time to make sure that there is a spare tire on or in the vehicle somewhere, and that it is in good condition. At the very least it needs to be usable in the event that it's necessary. As always, record what you find using the form fields below. To round off the tire segment of this vehicle inspection you need to check that the tools used to replace a tire are also in the car. After all, it's no good having a spare tire if you can't get the old one off when you get a puncture. Check to see whether there is a jack and lug wrench, then record what you find in the form fields below. After popping the hood it's time to check the brake fluid level of the vehicle. 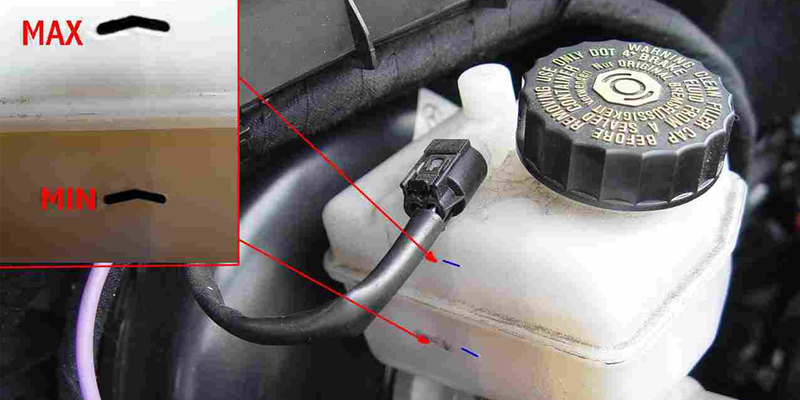 Most modern vehicles have a translucent container with a line marking the maximum fluid level, so you'll probably be able to check this without removing the cap. If the brake fluid is low then it will need filling up with the specific type recommended for that vehicle, and so (unless you fill it up yourself) the vehicle cannot pass this vehicle inspection. Record the results of your examination using the form field below. Now it's time to check the windshield washer fluid level. This can usually be done by just removing the cap and looking down into the fluid reservoir, and if the level is low then it will need refilling. Record your findings in the form field below. Checking the engine oil level and quality is a little trickier than the previous entries, but it must be done to avoid the potential for the entire engine to seize up. Use the dipstick provided to check the oil level, but be sure to take it out and wipe it clean first to get an accurate reading. If the oil level is getting low then it needs topping up with the recommended oil as soon as possible. You should also check the quality of the oil to see if an oil change is needed. Do this by noting the color and consistency of the oil on the dipstick (after cleaning it off once). If the color is black and the oil leaves a dirty smudge when rubbing it between your thumb and forefinger, the oil needs replacing. Note your findings using the form fields below. 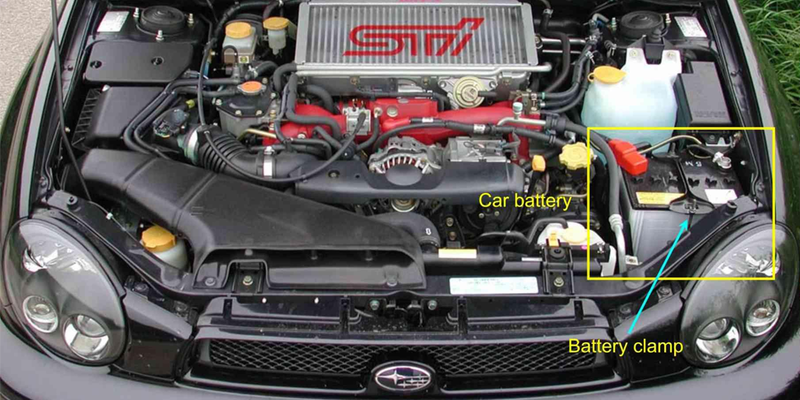 Next you need to examine the vehicle's battery (both the color indicator and physical condition). Make sure that the battery is secured tightly and that the terminals aren't excessively dirty, then locate the color indicator. Note your findings in the form fields below. We're almost done under the hood! Next you need to check the level and quality of the power steering fluid. Do this by locating the reservoir (most are translucent) and looking at the level of fluid compared to the indicated "Min" and "Max" lines. If the reservoir is metal, you'll typically be supplied with a dipstick. The fluid should be clear, amber, or pinkish in color. Check this by using a clean dipstick, then wiping off the fluid with a paper towel and examining the color of the fluid on the towel. If it is brown or black then the fluid needs replacing, possibly along with some parts of the power steering system. Note what you find using the form fields below. Rounding off our under the hood examination in the vehicle inspection checklist is the task of examining the hoses and visible piping. Here you're checking for visible cracks, damage, leaks, bulges, and cuts. If any pipes or hoses are damaged, this needs to be fixed before the vehicle can pass the inspection. Either way, record your findings using the form field below. For the windshield you primarily need to make sure that it isn't cracked. If it is, it will need replacing immediately. Otherwise, make sure that the glass isn't scratched or damaged heavily, to the point where vision is impaired. Record the state of the windshield using the form field below. The same checks need to be made on the rear window as were done on the front. If it is cracked or scratched/damaged to the point where vision is impaired, then it needs replacing before this vehicle inspection can be passed. Record the state of the rear window using the form field below. Now it's time to check that the side windows are in good condition. The same standards as with each windshield apply here - any cracks or damage to the point where vision is impaired will fail this vehicle inspection. Record the state of the windows using the form field below. Next you need to check that the window controls work. 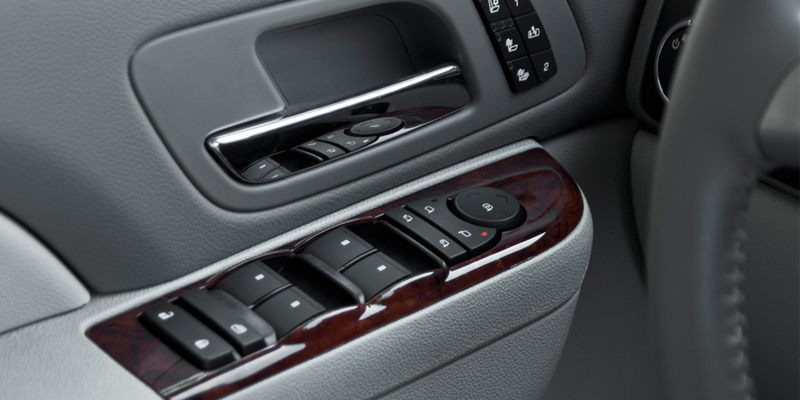 Whether they use electric buttons or a manual handle, make sure that the front and rear windows move up and down as intended without stopping early. Record the state of the window controls using the form field below. 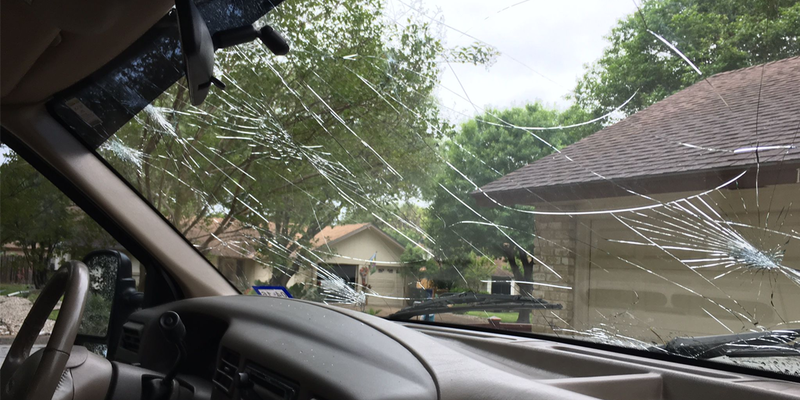 It's no good having an undamaged windshield if you can't also keep it clean and clear while driving. To that end, it's time to check that the windshield wipers are installed and in good condition. Check that both the front and rear wipers are installed and that they work correctly. Record your findings in the form field below. Now that you've inspected every element of the vehicle it's time to give a final pass or fail judgment. Take note of every dropdown form field you've filled out thus far. Aside from one or two exceptions (such as the emergency supplies) if there are any "No" answers then the final verdict will need to be a "Fail". You've now completed the vehicle inspection - great work! Be sure to let the vehicle owner/operator know the result of the inspection and what work (if any) needs to be done. Notify the vehicle owner/operator, either by email or SMS, that their vehicle has passed the inspection as is ready for collection. Use the form field below to write an SMS or email to be sent to the client. 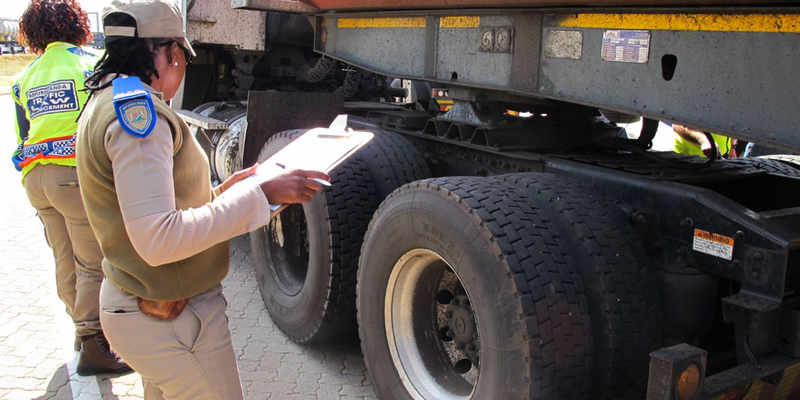 Notify the vehicle owner/operator, either by email or SMS, that their vehicle has failed the inspection and provide details regarding next steps.